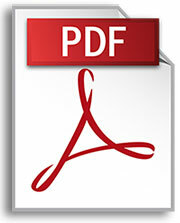 For your convenience, click on the icon(s) to download a printable .pdf version of our New Patient Packet. This will give you the ability to fill this out before you arrive at our office. In addition to the patient packet, please download and fill out the form pertaining to the location of your injury or ailment.